This event is hosted by Young Professionals Council – A Program of The San Diego LGBT Center, San Diego LGBT Community Center, and Fair at 44. It’s time to celebrate! 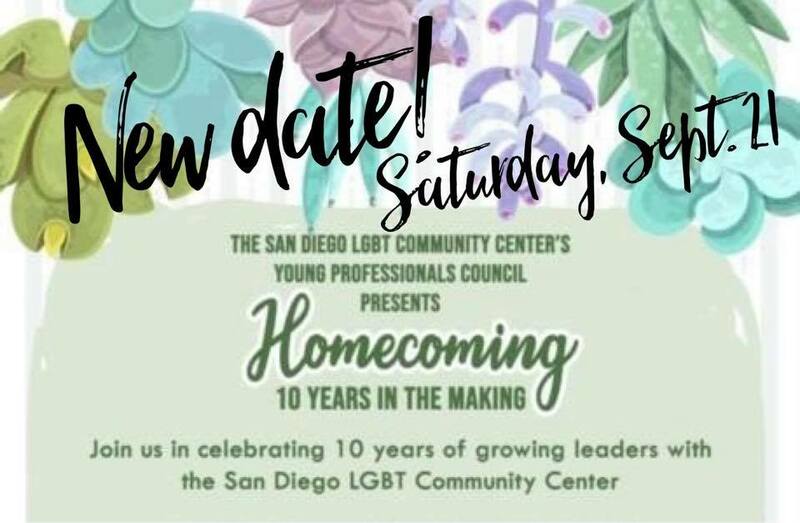 Join The Young Professionals Council – A Program of The San Diego LGBT Center on Saturday, Sept. 21 to toast to 10 years of this extraordinary Center program. We invite all past YPC members, YPC Academy alumni, YPC Executive Committee members, and all of our extended YPC family to celebrate this milestone. Following a brief program, food, music, and memory sharing will fill this magical night at [email protected] in City Heights.